We combine mathematical and computer models with field and laboratory data to understand how infectious diseases spread and evolve, and how to reduce their health impacts. We focus on zoonotic diseases, which are diseases that transmit from animals to humans. Zoonoses make up 60% of all human pathogens and 75% of emerging infections, but are less well-studied than other human infections because their natural history crosses traditional scientific disciplines. We use models to integrate ideas and data from many disciplines, with the aim of answering big questions about zoonotic and emerging pathogens. 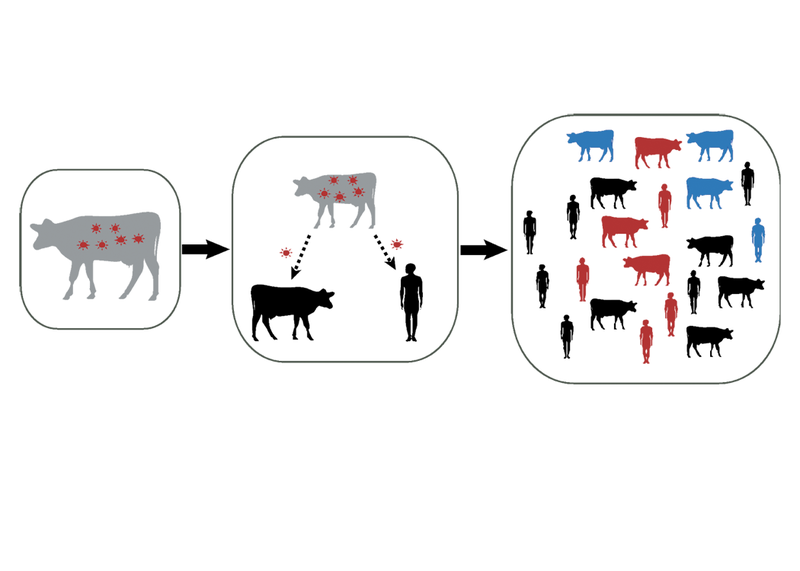 We build mathematical models for the spread of infections in animal reservoirs, at the animal-human interface, and in the human population. We also develop new tools to analyze laboratory, clinical and field data for these pathogens, and to design better ways to limit their health impacts. Click here to learn more. 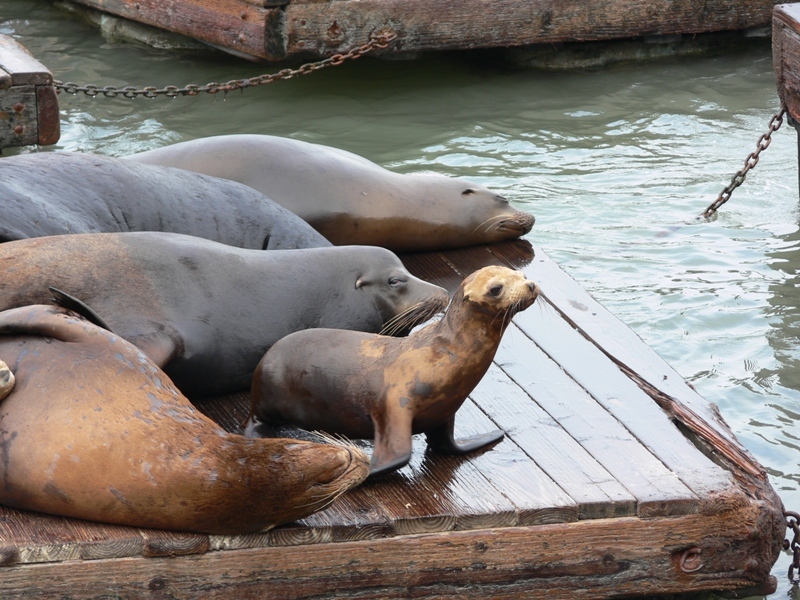 Leptospirosis causes annual outbreaks in the California sea lion population, and leads to large numbers of animals stranding and dying each fall. With a team of collaborators, we are conducting fieldwork, clinical studies and modeling analyses to understand what factors drive outbreak intensity and how the pathogen persists in the ecosystem. We are also gaining basic insights into the ecology and epidemiology of this important zoonotic disease. Click here to learn more. 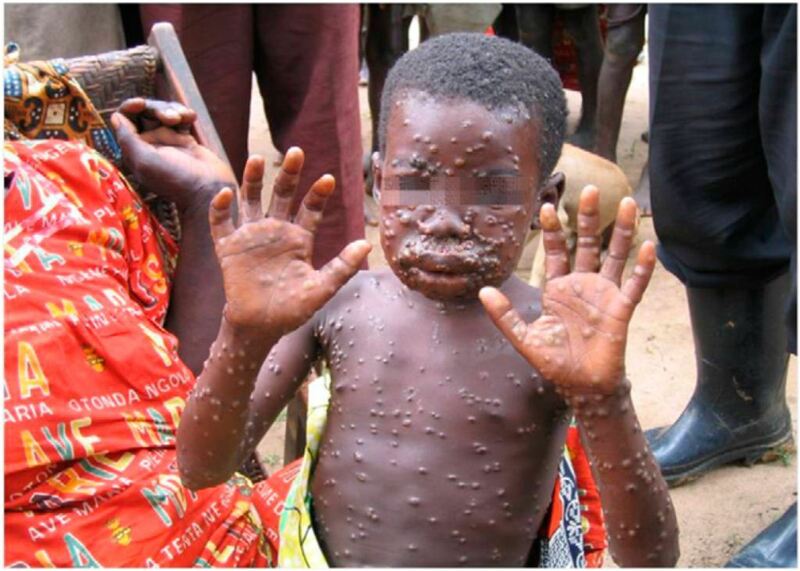 Since the eradication of smallpox, incidence of human monkeypox has risen sharply in the Democratic Republic of the Congo. We are working with epidemiologists to understand what is driving the emergence of monkeypox, and to quantify the contributions of zoonotic spillover, human-to-human transmission, and other factors. Click here to learn more. Viruses such as H5N1 influenza, SARS-CoV and canine parvovirus can mutate to adapt to new host species, and many pathogens can evolve to become drug-resistant or escape from vaccines. We are developing new theory to study how evolutionary processes at different scales can lead to emergence of novel pathogens or strains. Click here to learn more. Influenza viruses persistently spill over from animals into humans, where they threaten to cause pandemics. A central tenet of influenza pandemic risk assessment has always been that the entire human population lacks immunity against unfamiliar, animal-origin viruses. However, our recent study showed that large fractions of the human population actually do have pre-existing immunity against two avian influenza viruses of great concern for pandemic emergence in humans. Individuals gain lifelong, partial protection against influenza viruses in the same genetic group as the viruses they encountered as children. Click here to learn more. Amandine joins the lab as a postdoctoral researcher. Welcome Amandine! Celine, Amanda, and Oshi join the lab. Welcome! Miran graduates UCLA with a PhD! read more. Sarah advances to candidacy read more. Congratulations to Sarah for getting married!! read more. Click here to read more lab news.